German workmanship shows in this highly accurate Humidity/Temperature meter. The scales are opposite each other and the shaded area shows optimal working and living conditions. Customers will enjoy its clean visual appearance and accurate readings. The calibration and certification are done under ISO-9001 control. 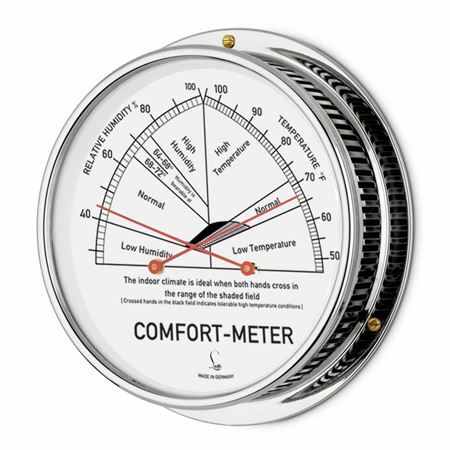 Hair-Hygrometer synthetic, combined with bimetal thermometer to measure room climate.